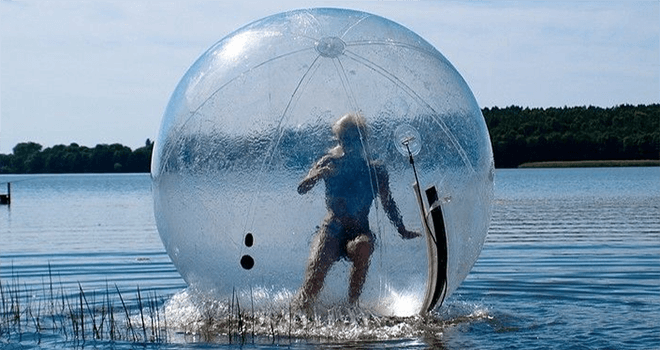 The main idea of Riga water zorbing is to go further by the water being inside of a 3m cylinder. Of course, it is almost impossible to stand on your feet in there; especially when inside two or three people and each of them are trying to run with their own speed. A lot of laughs and fun will have not only those, who are inside the bubble, but also those who are looking on all that from the coast. In the same place, you can also play a bubble football. 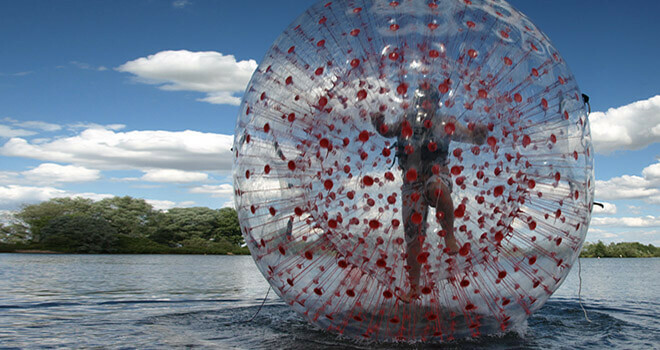 You will be picked up from your hotel and after some time you will begin your adventure with water zorb. Now you have a great opportunity to walk on water not only swim. After instructions you will be put in a water zorb. 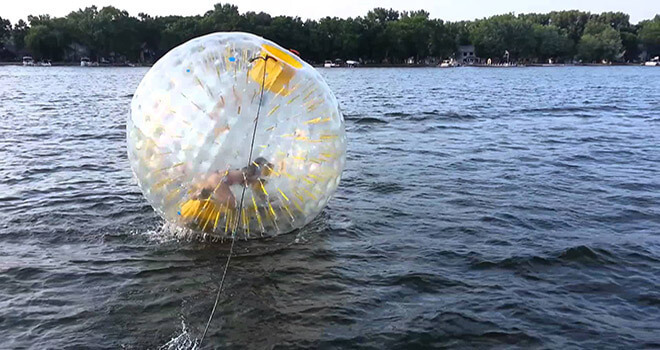 On both sides there are openings that let you breath in zorb. After this activity you will be taken back to your hotel or old town of Riga.